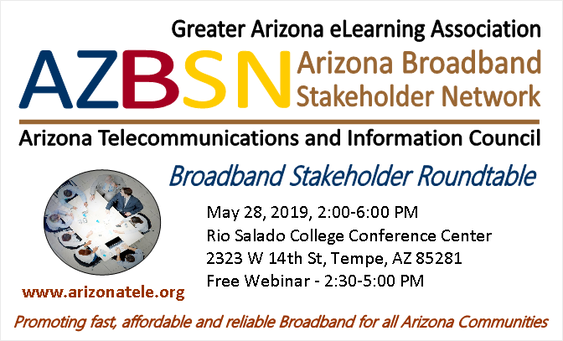 The Arizona Telecommunications and Information Council (ATIC) is a non-profit organization that provides expertise to effectively guide telecommunications and digital technology policy development and deployment in the state of Arizona. ATIC engages in, promotes, and supports initiatives and guides adoption of effective public policies that will enable the development of a statewide Technology Infrastructure to bridge the Digital Divide and support Arizona's educational, economic and community development. ATIC's public and private partners include large and small businesses, economic development organizations, libraries, consumer organizations, local and state government agencies, educational institutions, health care, the Arizona Corporation Commission, the Arizona legislature, and information technology and telecommunications companies. ATIC’s vision is that all of Arizona's citizens, businesses, schools, organizations and communities will have access to high capacity Internet and the tools, technologies and skills to participate effectively in the networked world. Just some of the innovative learning ideas and technologies include blended learning, digital curriculum, innovative learning spaces, mobile learning, individualized self-paced learning, competency and outcome-based education, flipped classrooms, adaptive learning models, Innovation Labs and Makerspaces, 3D printing, coding, project-based learning, robotics, game-based learning and virtual lab experiences, and more. ​The collaborative will include libraries, K-12 education, charter schools, public and private colleges and universities, community colleges, and nonprofit community schools. You may also find interested people from the business community, elected officials, government agencies, nonprofit organizations, Innovative Learning and related enterprises, economic development organizations, education advocates, parents, homeschoolers, students, and technology and innovative learning nonprofit organizations; pretty much anyone who cares about the future of education in Arizona and wants to collaborate with education innovators and help Create a Culture of Education Innovation that will promote and support adoption of innovative ideas and new technologies in Arizona.